Time has flown since my first blog (on 12 October 2015) when I had recently joined the Taskforce to begin a three days a week, six months secondment. I have really enjoyed the secondment, particularly the researching and getting out and meeting staff, volunteers and library service managers and seeing first hand the contribution that each library, irrespective of its size and location, makes towards delivering key outcomes for their communities. Conversations with some local authority chief executives, directors and elected members all indicated that they now recognise the role that library services play in delivering local authority priorities particularly in the fields of reading and literacy; digital access; learning; community cohesion and health. The Society of Chief Librarian’s universal offers have helped to create a shared understanding of this work but it is increasingly essential that the outcomes are promoted widely to a range of stakeholders. 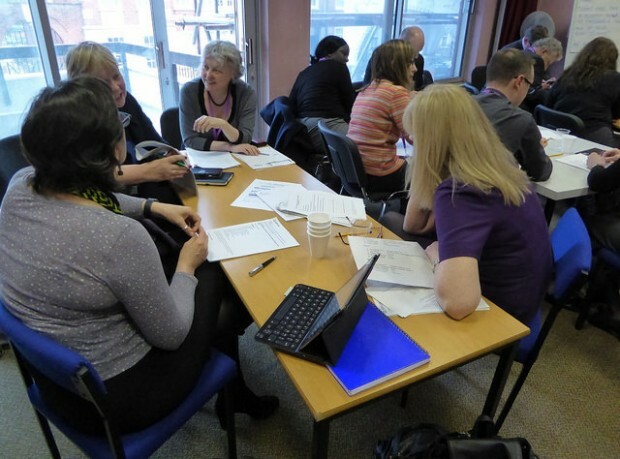 Aside from the toolkits, I have been contributing to other Taskforce workstreams, an example being the development of Libraries Deliver: Ambition for Public Libraries in England 2016-21. This draft document reflects on the evolving role of libraries in light of changing public expectations. It presents a vision for the future and discusses how it should be achieved. I would encourage local authority decision makers, library professionals, communities, partners and members of the public to attend an event or respond online and help to shape the future of English public libraries. The work of the Taskforce continues in implementing the priorities identified in the Sieghart Report, as well as shaping, creating and delivering new opportunities for library services. I would recommend that other library service managers consider the option of a secondment to the Taskforce. Working with the Libraries Taskforce has enabled me to: get a perspective on the national policy landscape affecting libraries, understand the working context of central and local government, take the opportunity to lead on specific projects and shape developments so they can be delivered within a local authority context. While it was a challenge working part time in my own authority and part time in the Taskforce, I welcomed the opportunity to upskill, observe Taskforce meetings and to work with a range of partners across the sector. The learning and the contacts I made were valuable both for the Taskforce work and for my work with Dorset Library Service.